Wine is, has been and always will be just like a faithful travel companion for many artists; i.e., an inspiration, a shoulder to cry on and a confessor, and the music world is no exception. There are a multitude of songs that sing the praises of the nectar of Bacchus. For instance, at the concerts of two of Italy’s great singer-songwriters like Faber and Guccini, the image that remains impressed on peoples’ minds, is that besides their faithful guitars, they both were often accompanied by a fiasco of wine. This connection - music, wine and the stage – has been long-lasting and now, once again a big international rock star, Eddie Vedder, the front man of Pearl Jam, will be one of the top stars on the Collisioni program, the agri-rock festival in Barolo. 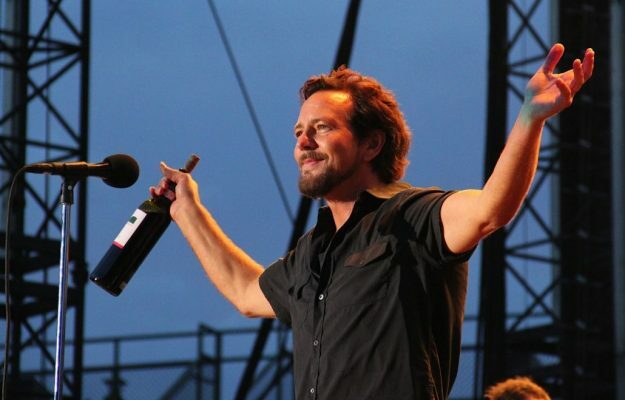 Vedder, whose concert has been announced on the Piedmont stage on June 17th, decided that the experience will not be only his music, but it will also include his other great passion, wine. WineNews rumors have it that Eddie Vedder is going to also be the star of an opening toast, dedicated to all the wine lovers, of not only Piedmont’s reds, but a selection of all Italian winemaking. The singer has chosen his favorite Italian wines to toast that are from small, but symbolic wineries all over Italy. Of course, there is great excitement as everyone is curious to discover which wines he will choose. 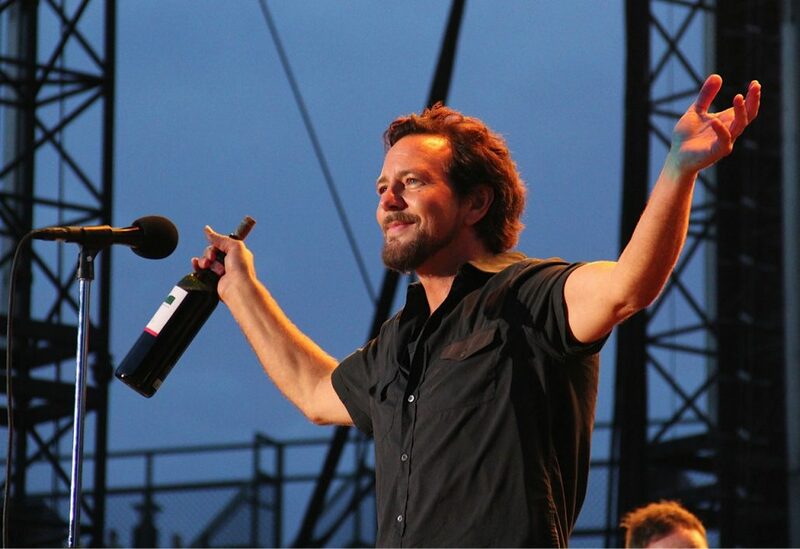 Vedder is definitely not new to wine-themed projects. Not counting the famous moments during his concerts in which he takes a taste of good wine directly from the bottle, he and his historic US group had already signed the layout for four bottles of Syrah and Cabernet produced by the Underground Wine Project, which included the Seattle, Chicago, Boston and Missoula, Montana skylines - the four destinations of the upcoming Pearl Jam tour.